Click image to enlarge for viewing (and praying). As you read this, we are making our way to Albania—or already there. If you missed it, here's the story of how God made all this happen. Would you please pray for us RIGHT NOW? 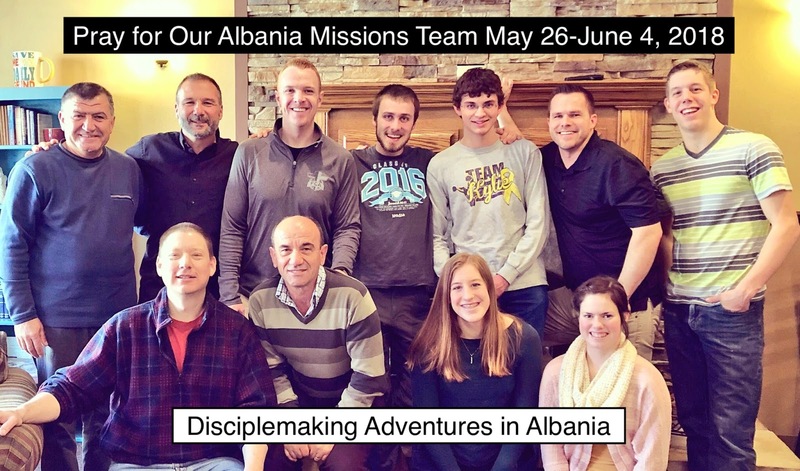 And just in case you're wondering, your $ partnership in our disciplemaking adventures here and abroad is much needed and deeply appreciated. We couldn't be Cadre Missionaries without friends like you! Through YOU, God makes Cadre Missionaries possible and powerful for HIS glory!